The new updated version of the famous Grumpy Grandpa is here. This is an amazing way to pay tribute to our grandpas and a fun way to get the family together and share a few laughs that will create a stronger bond. This app is definitely going to entertain you and your family and can be downloaded now from the App Store. 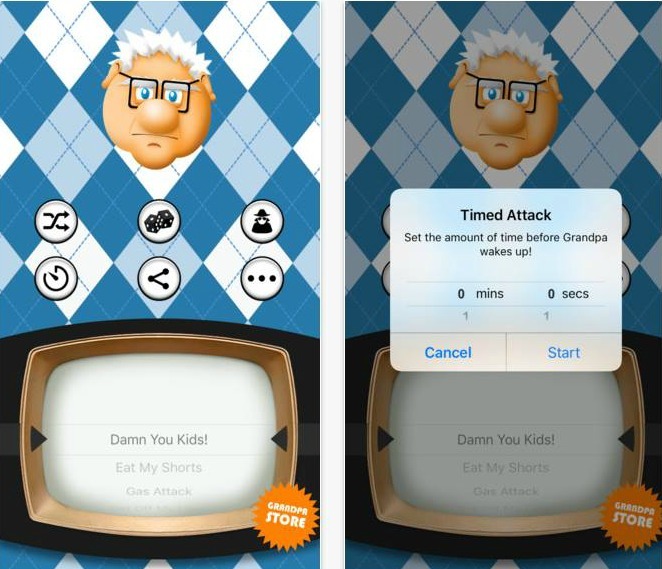 This updated version of the Grumpy Grandpa has new features that make the app even more interesting. Amazing graphics and better sound quality effects are just one of the many additional new features. New grandpa sayings and quotes, TV and movie quotes, 3D touch etc. The new updated 75 sayings will make you laugh without a doubt. You can switch modes and moderate it so it plays the sounds differently. It displays several modes such as random mode, combo mode, timed attacks and stealth mode. Make sure to share this app with your family and friends and break the silence with having everyone around you laughing. This app is compatible with all devices having iOS 9.1 or up. It can be downloaded now for free and With 5 additional sound packs available for in-app purchases.